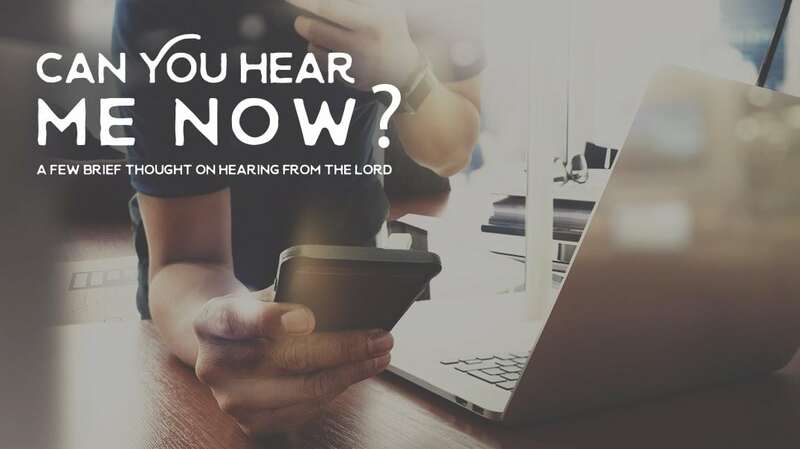 This is a shorter post, but one close to my heart so I wanted to share a few thoughts on hearing from the Lord. A few weeks ago, a friend shared with me he felt like it had been so long since he’s heard from the Lord and If I thought it was because of disobedience in his life. From what I understand, everyone can go through seasons or situations where it is harder to hear from the Lord or hear from Him at all, regardless of your level of obedience. Sometimes it’s a stretching season for us where the Lord just wants us to act out of what He’s already told us. Sometimes it’s that He’s talking, but just different than how we’re listening. There are several other “sometimes”, but just wanted to state that it is my understanding that just because you’re not hearing, it doesn’t mean it’s because you’re being disobedient. I picture verses in Amos and others that are similar, like disobedience is earwax and obedience is a Q-tip. Hearing less in either situation isn’t a punishment but a byproduct. I also think of it like the pair of shorts in my floor – The first day I saw them, I thought to myself, I should pick those up. The second day, I should get those tomorrow. Now two weeks later, I don’t even notice that they’re still there. If God is repeatedly asking us to do something and we don’t respond in obedience, it’s not necessarily that He stops saying the same thing – but we stop hearing it all together. So many times when I feel like I’m not hearing, I ask myself what the last thing I heard the Lord say or felt like I was led to do. And then ask if I been faithful to that. If not, that could be a chunk earwax for me. I ask the Holy Spirit to reveal to me if there is anything I missed that I was supposed to be doing either relationally with Him or missionally with others. If not, I trust the Lord will show me what I need to know when I need to know it, and try to continue with the principles He’s taught me and the last thing(s) I felt like He had shown me or led me to do. We’d love to head from you!